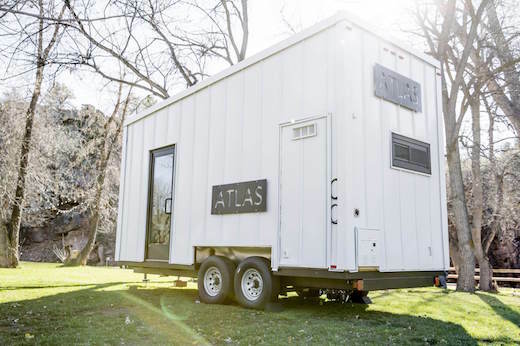 Atlas is a new tiny house creation made by F9 Productions of Longmont, Colorado. 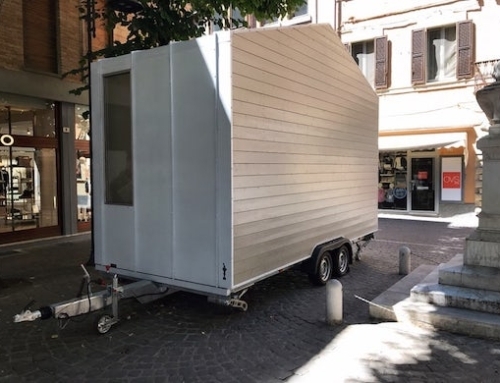 They describe it as a tiny house/RV hybrid. 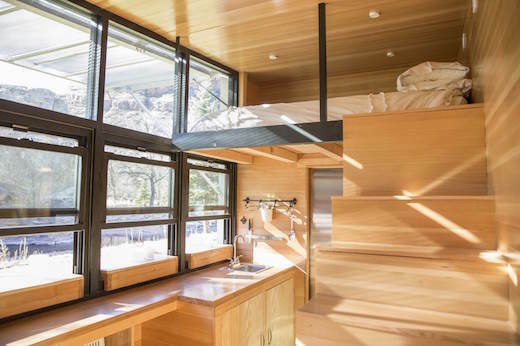 It offers a spectacular view, which makes it appear much more spacious, and can also be taken completely off the grid. As such it would make a great vacation cabin, home office, guesthouse, or even a full time home. 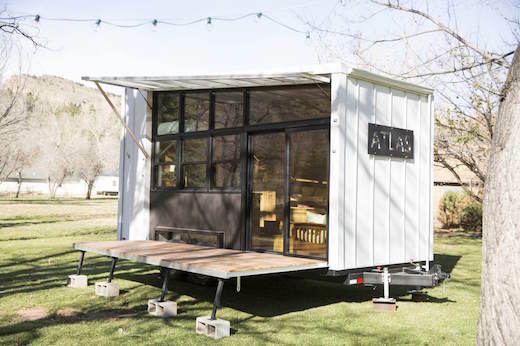 The Atlas is not actually a shipping container home. 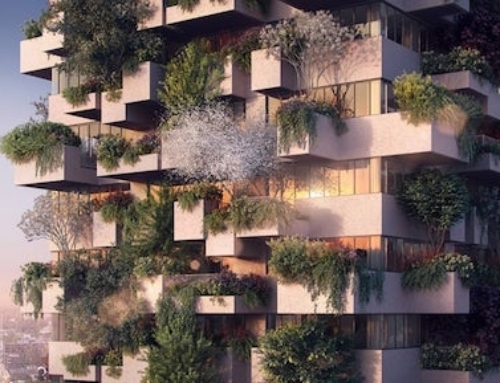 It does, however, feature a tube steel frame, which makes it look a lot like it was made from a container. 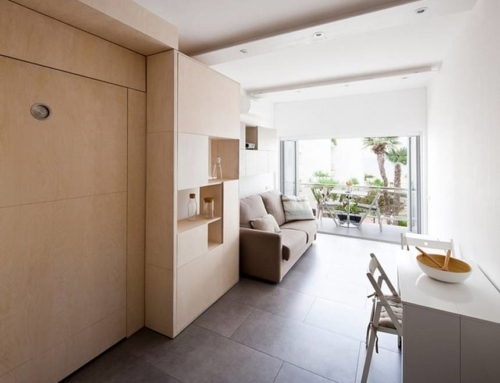 The interior measures 196 sq ft (18 sq m). The majority of this space is taken up by the main living area on the ground floor, while there is also a small lofted bedroom, which is just large enough to fit a queen-sized bed. 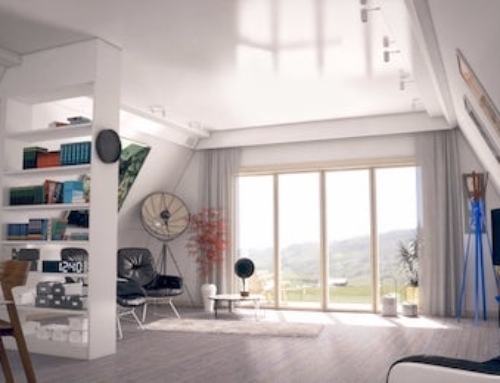 The loft can be accessed by stairs, which have storage space integrated into them. 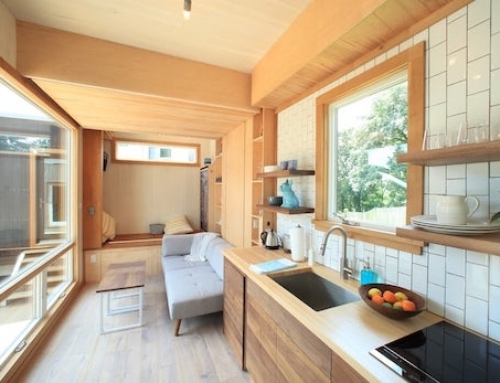 The tiny home sits on a trailer, and has an estimated total weight of 7,500 lbs. (3,400 kg). 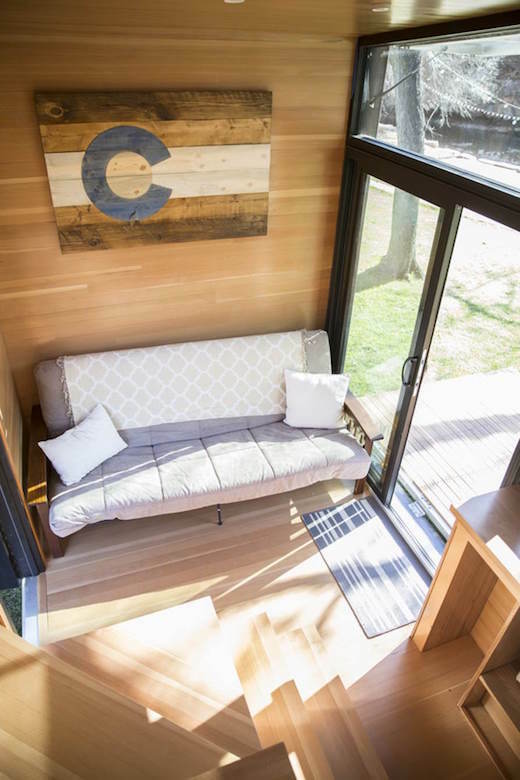 The home also features wooden cladding and spray foam insulation, and has a large, covered porch, which acts as a comfortable semi-outdoor space and increases the living area of the house. 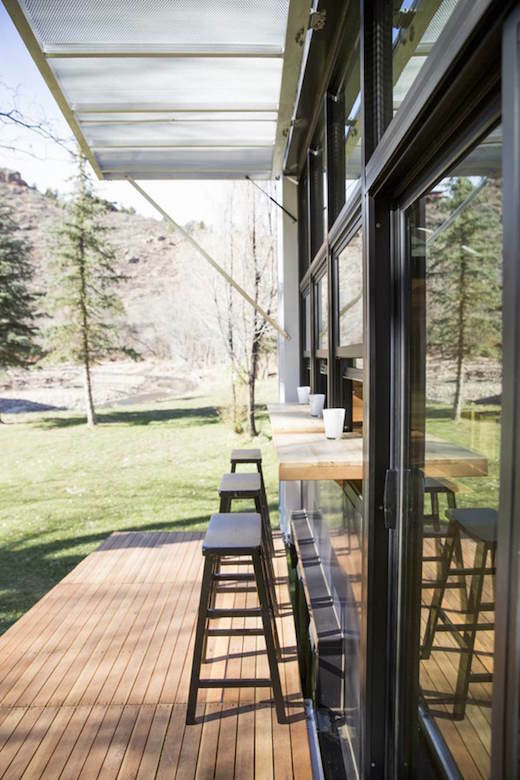 In transit, the deck and lift-up awning can be folded shut. 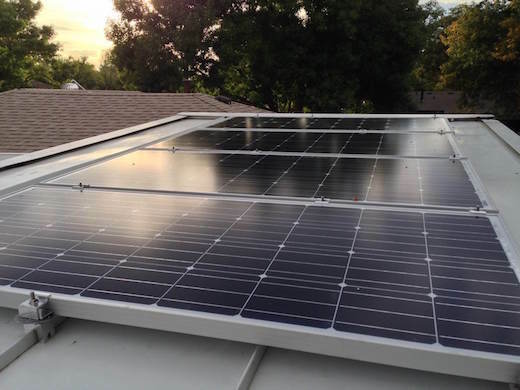 The home is equipped with a rooftop mounted 640-watt solar panel system that is connected to a battery array. This should be enough to take care of all power needs of the home, but there is also a backup generator and electric hookup that will keep it running in the event of prolonged bad weather. The tiny home also has a rainwater collection system on the roof, as well as grey water, black water, and fresh water tanks installed. The home is fitted with a fold-out couch, which is big enough to sleep two. There is also a kitchen equipped with a sink and induction cooker, refrigerator, pantry and a long countertop. The bathroom has a toilet and shower. 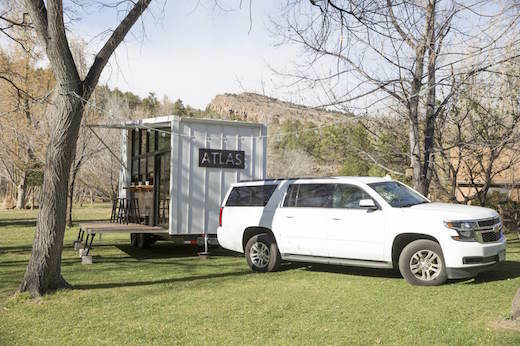 Atlas is currently on sale for $75,000.